WASHINGTON — The ghost of crooked lobbyist Jack Abramoff continues to rear its head in this town which once treated him as a king — that is before he became radioactive and went off to prison. The latest came Wednesday when Horace M. Cooper, 44, of Lorton, Va., pleaded guilty in U.S. District Court in Washington to taking gifts from lobbyists Abramoff and Neil G. Volz, who had clients with business before the Department of Labor where Cooper was chief of staff for Employment Standards Administration from 2002 to 2005.
Cooper admitted concealing the gifts — sports and concert tickets and dinners — from the Labor ethics officials and his supervisors. Authorities say Cooper also admitted that he lied to the FBI and a grand jury about the gifts and his relationship with the lobbyists. He faces up to one year in prison and a maximum $100,000 fine when sentenced. To date, 19 people including lobbyists and public officials have pleaded guilty, were convicted or are awaiting trial in connection with the shady activities of Abramoff and his associates, the Justice Department said. 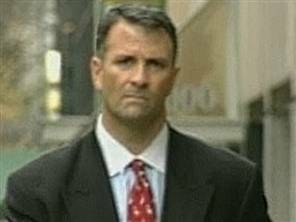 Abramoff pleaded guilty in 2006 to conspiracy to commit honest services fraud, honest services fraud and tax evasion and is serving a four year sentence. Volz pleaded guilty to conspiracy to commit honest services fraud and was sentenced in 2007 to tow years probation. Posted: 4/7/10 at 2:16 PM under FBI, News Story.